Unique System FZE, a Unique Maritime Group company, which is one of the world’s leading integrated turnkey subsea and offshore solution providers, is pleased to announce the introduction of the new DIVE MK2 underwater gauge from Cygnus Instruments in the Middle East region. Unique system FZE is the authorized distributor of Cygnus products for the entire Middle East region. Founded in 1983, Cygnus pioneered the digital multiple echo technique. The technique has long since been the industry standard for accurate measurement of material thickness. Driven by the need for a hand-held device, we successfully developed multiple echo digital thickness gauges which measure metal thickness through protective coatings in a reliable and repeatable way. 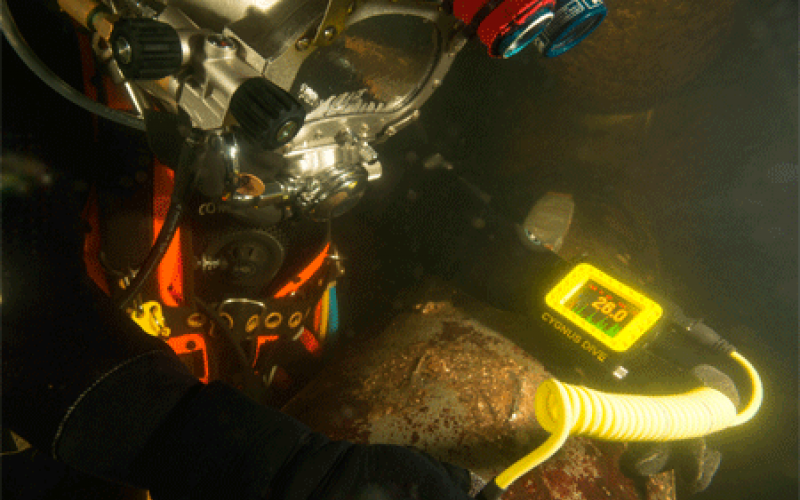 The new DIVE MK2 underwater gauge comes handy with a number of key features. It has a super bright AMOLED display, updated topside and reporting software and the introduction of twin crystal probes to assist in taking measurements on highly attenuated materials such as cast Iron, measuring link thickness of anchor chains and on particularly heavily corroded steel. The large, bright colour AMOLED display is easily viewable by both the diver and his camera even in the poorest visibility. The operation of the gauge is simple with only two buttons for easy navigation of the menus. However, a completely new feature is the added flexibility of single echo mode where twin crystal probes can be used. This feature is useful on uncoated surfaces that have extreme front face and back wall corrosion making measurements in multiple echo difficult to achieve. Having the capability of using DIVE in single echo mode means twin crystal probes can be used. In some measuring situations this can offer advantages where there are no protective coatings as this technique will not ignore coatings. Heavy corrosion as some times found on sea defences and harbour pilings can be challenging in order to obtain measurements in multiple echo modes. It is also useful for attenuative materials such as cast iron found in water & sewage outfall pipes and round bar such as anchor chain links.